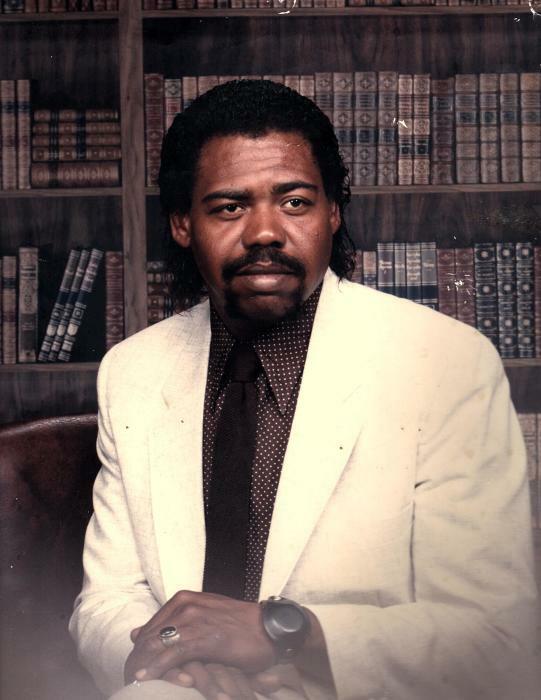 Luther ‘Terry’ Earl, of Asheboro, fell asleep in death on January 17, 2019. Luther was born on May 27, 1951 as the last child of Luther Smith and Emma Mathison Earl in Meridian Mississippi. He grew up in Enterprise, Mississippi. Luther attended Central High School, in Enterprise, Mississippi. Later he moved to Racine, Wisconsin, where he attended Gateway Technical Community College and received his degree in Auto Body Repair. While studying for his degree he worked at Chrysler Corporation, Kenosha, Wisconsin. After retirement from Chrysler, Luther later retired from his Business, “Bodies by 9” (Auto Body Repair Shop). In his leisure he enjoy gardening, fishing, hunting, boating, helping others, caring for animals, and ‘tinkering’ he was a ‘Jack of all trades’. He was well known for his famous Fish Fry Gatherings, as he was a very good cook. He was well loved by Family and Friends, of his many nicknames “Turk Baby”, “Fat Boy”, “Big 9” as Luther wore many hats. Terry knew he was loved by ‘many people’. Terry studied the Bible with Jehovah Witnesses. He had a love for Jehovah and a love for Jehovah’s People. He was preceded in death by his Father, Luther Smith, Mother, Emma Mathison Earl, Frank Earl, Brother, Morris Earl, Brother, Wilmer Earl, Jr., Brother, Lilly Pauline Earl Williams, Sister. He is survived by Nichole Earl (Wife), Nolan Reese Earl (Son) of the home, Keshon Uriah Coleman (Stepson) of the home, Toby Earl (Son), Las Vegas, Nevada, Tonya Earl, (Daughter), Columbia, South Carolina, Wanda Walker, (Daughter), Racine, Wisconsin, Jerry Earl (Brother), (wife Linda), Columbia, South Carolina, Mary Emma Earl,(Sister), Kenosha, Wisconsin, Wilhelmia Earl Gray, (Sister), Milwaukee, Wisconsin. Four Grandchildren, Deja Phifer, Lauren Phifer, Kayla Walker, Hallie Chester and a host of nieces and nephews. Terry was a dedicated Husband, Father, Grandfather, Brother and Friend. His big heart and that big smile, couple with his nature to work hard displaying work ethics that were acknowledged as superior by all who knew him. A service will be held Saturday, January 26, 2019 at 10:00am, at Midstate Cremation & Funeral Service, 304 Lanier Ave, Asheboro, NC 27203.